Penny Hanna is a multi-instrumentalist, composer/arranger, and vocalist, playing Bass, Viola da Gamba, various Woodwinds, and more. It all began for me on the voice and rattle, followed by the violin (probably because my older sister also played it), but my teacher was awfully dry and when you’re in 2nd grade it’s the one of very few things you can choose not to do. So I stopped the violin temporarily. Then the clarinet (because all the flutes we’re taken), and double bass (because I had a joyful dream about playing the 3rd movement to Beethoven’s Symphony #5 on the bass and the next morning I went to my 7th grade orchestra director, Elaine Parker Shaw — never one to type-cast small people who wanted to play large instruments — who then granted my wish with a half sized bass and a spot in the school orchestra with my best friend and child virtuoso violinist Alice Deighton). Along the way, my sister taught me how to sing harmony (for which I will be forever grateful) and a bit of guitar, my dad showed me how he played the ukelele, and my mom always loved my whistling. I studied clarinet with orchestral players Murray Sullivan (Grand Rapids Symphony) and Earl Bates (St. Louis Symphony), and played bass in a very good regional orchestra (Kirkwood Symphony), even opera! Plus, on the popular music front, having an older sister in the early 1960s meant that I was always hip to who was hip before my friends caught on...(talking Bob Dylan here). At music school in Ann Arbor, I joined the University of Michigan Collegium Musicum led by the delightfully encouraging Dr. Robert Warner, simply because a fellow student and all-around cute guy, Steven Ovitsky, recommended it, and this introduced me to the family of smaller viols, and subsequently a completely different approach to repertoire, performance and study which I still enjoy immensely. I also met lifelong friend Andy Stein in the collegium, and he introduced me to my first real gamba teacher, Judith Davidoff. In my version of history I’m solely responsible for making Andy play his old-timey fiddle at an Canterbury House jam attended by Commander Cody’s brother Chris, leading to Andy’s eventual gig with the Lost Planet Airmen. You’re welcome. Back in the Bach world I was very fortunate to study with Gian Lyman Silbiger, and John Hsu on the east coast, and even played in a wonderful quartet with Peter Tourin, Laura Jeppesen and Christie Blanche, probably called the New Haven Consort of Viols, although much has been forgotten and obscured over time. 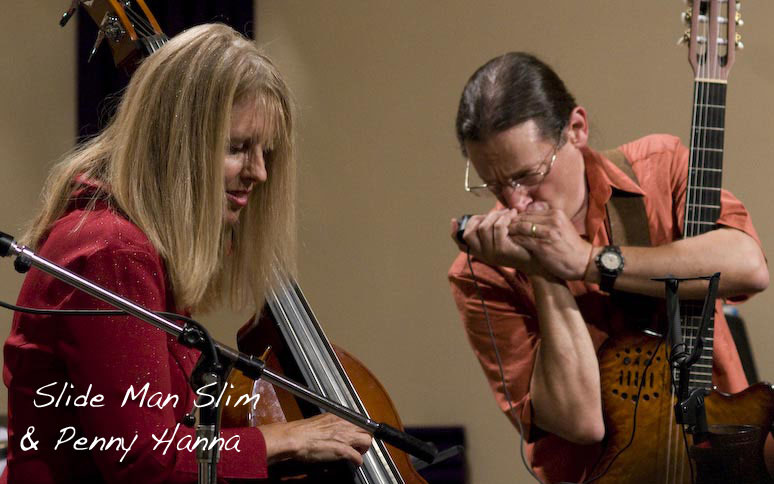 While waiting for the chamber music gigs to kick in in the San Francisco bay area, I worked with singer, songwriter and guitarist Alice Stuart in her band. Alice found my Fender Jazz Bass, a 1961 beat-up white body with a rosewood neck and great sound. I still play it today. I was in the enviable baby boomer position hitting the early music scene while it was still new, while people we’re still amazed to hear stuff written before 1750 played on somewhat historic instruments, and when Colleges and Universities had budgets to sponsor chamber music concerts. These were heady times for a small subset of enthusiastic musicians who felt they we’re onto something, if not new, then novel. The Bay Area’s Brandenburg Liberation Front, David Fallow’s Musica Mundana, and other various assortments of groups with a revolving cast of good company. Tom Buckner, Judy Nelson, Howard Kadis, Joe Bacon, Laurette Goldberg, Kathleen Kraft, and the two Bobs (Claire and Strizich), all kept lively time. The day after I discovered my bass viola da gamba needed several months repair work following a flood, Asleep at the Wheel’s Ray Benson stopped by, urging me to join a newly arrived bass-less Western Swing band. He really talked up their great guitar player during a set at the Longbranch Saloon in Berkeley. I auditioned, I got the gig, I met my once and future husband Slim Heilpern, and began a touring career playing western swing with The Oso Family. Once again it was old friends who kept pushing me around for the better: both Andy Stein and Ray Benson were instrumental in helping the former Oso Family relocate to Austin Texas, still a relatively small city packed with musicians attracted by extremely cheap housing, beaucoup clubs, Willie Nelson’s amazing aura, and a great deal of community support for Western Swing and hippie country by the public and press. We met some great players like fiddling icon Jesse Ashlock, steel player Billy “Shorty” Marshall, Marsha Ball, Dan Del Santo, Jeff Barnes, John Mills, Shawn Colvin, my new (and first) vocal coach Mady Kaye, and so many more wonderful people and players. Keeping a touring band was not easy, and in the late 70s Slim and I headed for New York to try something completely different — a duo lounge act. We practiced madly for several months before debuting our new act down in the financial district. We had great audiences and a fair amount of work helped out by New York City’s cabaret laws limiting many clubs to duos rather than larger bands. Yes, the second golden age of live music — when the childless baby boomers were old enough to go out at night, and their parents we’re still young enough to join them (well, maybe in different venues, both full of cigarette smoke). The disco era was not all that bad for bass players and musicians in general, as hotels all had lounges or show rooms, and there were plenty of touring groups to fill the clubs. One year we hit New York, Florida, Los Angeles, North Dakota and everywhere in-between, including a return to Austin. Certainly the new recording technologies and “home” computers in the 1980s had a big an impact on my musical life after that lucky meeting at the Longbranch with my once and future techie. Our home studio became a welcome recharge from the road and a source of many amusing stories. And thus I was able to write and record to the limits of my diminutive powers of concentration for a number of years. Hooray for me! From Penny's album "Cruel Lottery"
From Penny's album "Often Running"
Returning to California also meant a return to the viola da gamba. Highlights include master classes with Wieland Kuijken, Jerome Hantai, John Dornenburg, Mary Springfels and Jordi Savall, plus concerts with the Antiquarian Funks, the California Gamba Consort , WAVE Women’s Antique Vocal Ensemble, and most recently with my amazing colleagues Katie Clare Mazzeo on harpsichord and Elizabeth Gaver, violin. We’re calling ourselves “The Cherry Trio” after our home concert venue in Carmel. The first golden age of music was the 1920s according to another dear colleague Velzoe Brown. Well, actually she was referring specifically to her career, which began in 1926 as a trombonist for “The Pollyanna Syncopators”. I joined her band “The Upbeats” on the clarinet and saxophone much later in what I should now call my “Woman Who Tries to Do Too Much” career. I began singing or playing sax for various big bands and the effervescent “Jazz Birds”, playing bass and singing for various corporate party bands, coaching some truly amazing individuals on all of the above, and even improvising a solo career for the “Young At Heart Project” with many, many shows and concerts featuring the music of Gershwin, Cole Porter, Irving Berlin, and Harrys Arlen & Warren. Santa Cruz is the kind of town where jazz is an acceptable genre for a jam, and Real Books are everywhere. These days we keep ours at home, but what a treasure it was to study jazz theory and arranging with Cabrillo College’s Ray Brown, who’s probably responsible for all that noise I heard when I first arrived and for our much treasured Kuumbwa Jazz Center — always a great place for music and musicians. Most recently, a new path as choir director for the Cabrillo College Stroke Center Choir, and yes, a new duo format with Slim on the beach every summer (our foggy season) and continuing fun in the studio during our winter months.